The core attributes of any physical bullion investment are absolute liquidity, no reliance on management skills and no counterparty risk. Not all precious metals investment products offer these core attributes, and with so many different types of products available it is easy to choose the wrong one. Here are some commonly asked questions, the answers to which provide essential information about a sound investment in physical bullion. 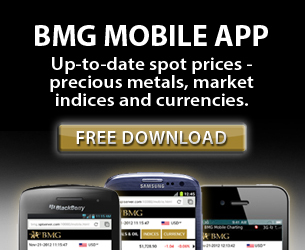 There have been significant questions raised over the holdings of precious metals exchange-traded funds (ETFs). Since it is standard practice for Authorized Participants, such as banks and brokerage houses, to contribute baskets of borrowed assets to ETFs, the bullion therein may be borrowed. In the event of a 2008-style financial crisis, the lending institutions would have first claim to the gold, leaving shareholders in a precarious position. Only gold products that do not compromise the fundamental attributes of bullion should be considered. Those attributes are: liquidity; no counterparty risk; and independent of management skills. Is There Any Counterparty Risk? Counterparty risk should be avoided. Any proxies of bullion such as certificates, futures contracts, mining stocks or even bullion that is held in pooled accounts add unnecessary risk and defeat the reasons for owning bullion. Gold holdings should be independent of management skills. 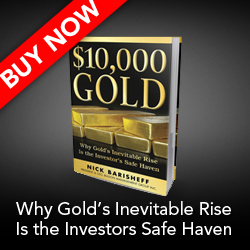 Gold is the purest hedge against the financial system, which is currently in disarray. Gold is negatively correlated to all currencies and the equity markets. As soon as hedging, leveraging or market timing is introduced, it is the skill of the individual manager that determines the performance of the holding rather than the gold itself. Bullion is highly liquid; it trades 24 hours a day, seven days a week. Bullion held in certificates or in ETFs, where liquidity is dependent on the market rather than the bullion itself, should be avoided. When buying bullion, ensure that title to the metal is transferred to you. Next, ensure that your bullion is stored on an allocated and insured basis. You should also know the exact weight, fineness and serial number of the bar(s) purchased. Holders of unallocated bullion do not own specific bullion bars; they merely have a debt obligation from the issuer. As a result, they take the risk that their bullion may be leased out without their knowledge or consent, or that the implied bullion may not be there at all. Bullion stored on an allocated basis does not form part of the custodian’s assets and may not be leased into the market or used in any way. 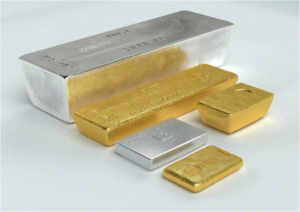 In the event of bankruptcy or insolvency, bullion bars stored on an allocated basis are not subject to third-party claims.